Flying to Hawaii can be an expensive endeavor. However, recent price wars, due in part to increased flights from United Airlines, you can find some impressive deals to the islands. That's the case right now, with round-trip flights heading to Hawaii for as little as $352. The flights aren't coming from a single sale, so the fares are a little scattershot. 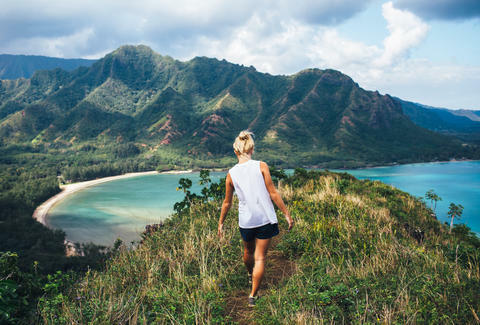 Nonetheless, you can work your way to Honolulu, Kona, Lihue, or Maui on the cheap, with low fares available from April through May and August through January 2019. 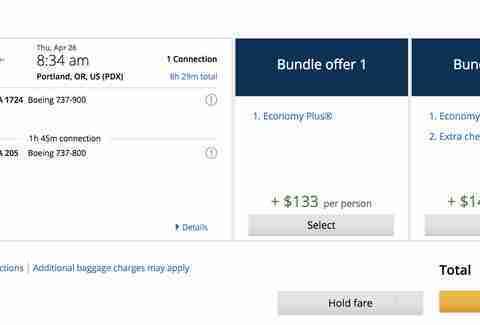 The slew of deals, as highlighted by Scott's Cheap Flights, feature fares out of Calgary ($435 CAD to OGG), Denver ($332 to OGG), Edmonton ($530 CAD to KOA), Houston ($395 to HNL), Las Vegas ($486 to HNL), Los Angeles ($419 to OGG), Montreal ($531 CAD to KOA), Newark ($353 to KOA), Phoenix ($416 to OGG), Portland ($352 to KOA), San Diego ($352 to LIH/OGG), San Francisco ($376 to OGG), San Jose ($367 to KOA), Seattle ($352 to OGG), Toronto ($495 CAD to OGG), and Vancouver ($438 to OGG). Prices listed are the cheapest flight for each city, but most cities have fares to multiple airports in Hawaii. These fares will likely go fast and could change at moment's notice. For your best shot at the lowest fares, purchase soon. To find the cheapest flights, search for your fares on Google Flights. Google's flight search tool makes it easy to scan a couple months to find the lowest fare. Once you've identified your preferred date, drop that information into Momondo. The Momondo search engine will likely turn up fares that come in a little cheaper than what you saw on Google. After that, go enjoy some black sand beaches or take a sunset helicopter ride.